Summer is finally here and the summer breeze is feeling really refreshing. With summer now here, most of you are probably thinking you need to get that summer body. 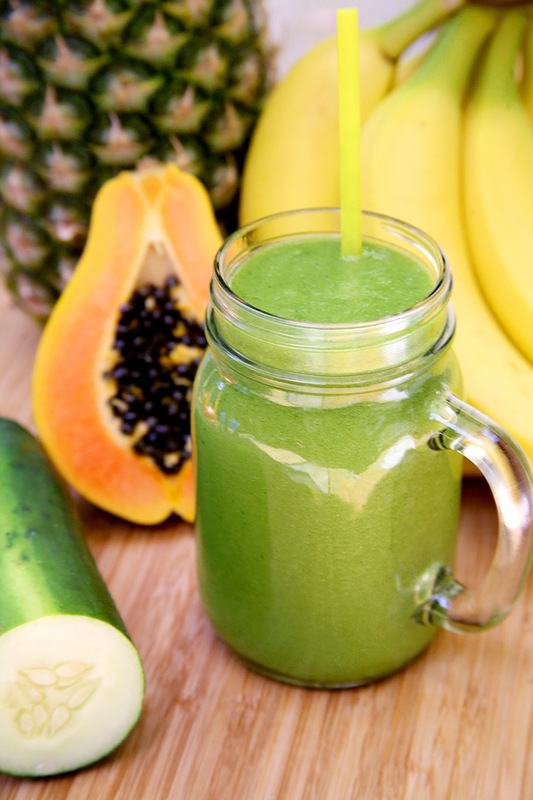 What better way to get healthy and lose some weight with smoothies? 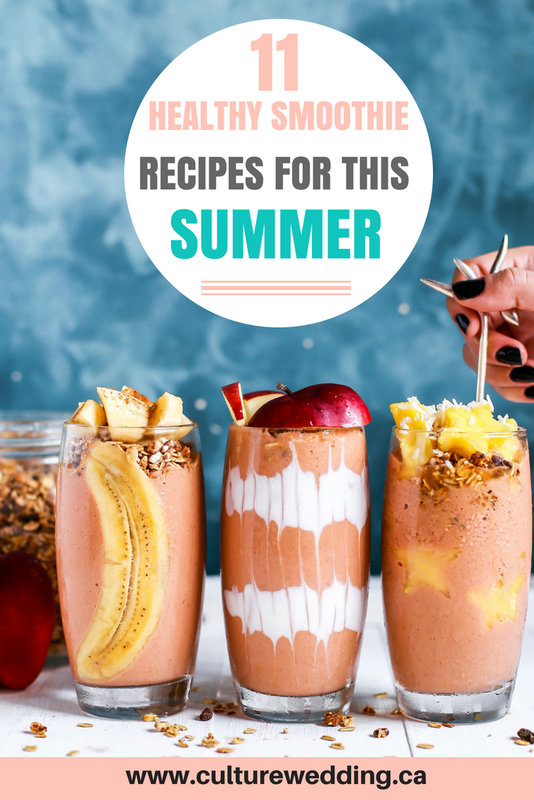 Today we are going to share 11 healthy smoothie recipes, you MUST try this summer. Before we get started on a list of Healthy Smoothie recipes, we wanted you to take the time to like our Facebook Page here! Follow us on Instagram as well for a chance to win gifts and see more cool things. 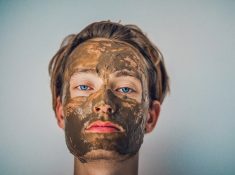 We also use affiliate links in our blog posts which means we can make a commission if you use any of our affiliate links. As you may know (or may not know), breakfast is the most important meal of the day. I know your mama told you that. This means you need to ensure you have the most nutritious meal to keep you energized. That’s why we think having healthy smoothies each morning is the way to go. Smoothies are quick and easy to make, which will save you a lot of time in the morning, especially if you are a go-go person in the morning. We hope you try out our healthy smoothie recipes today. 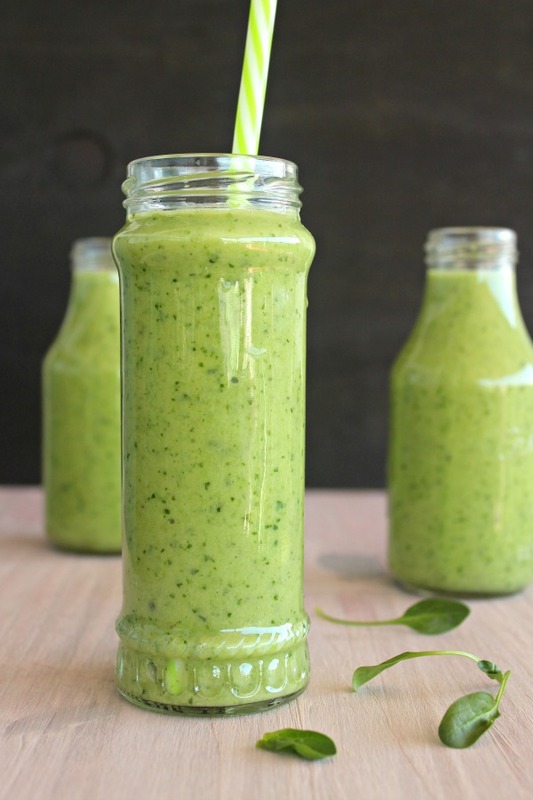 If you want more amazing healthy smoothie recipes from Julianne Hough, check out her blog. 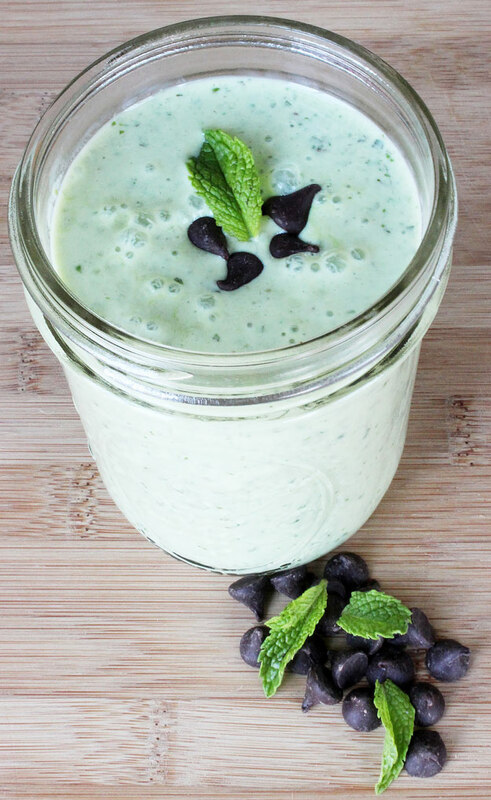 The Mint Smoothie was so popular that it was featured on Popsugar. I really like the mint idea as mint is usually connected to things that are cool and during summer, you need something refreshing to keep you cooled down. Definitely try out a few of the healthy smoothie recipes we will be recommending. Okay, I am going to be honest with you all, I HATE bananas! I really do. My 1-year old daughter simply loves them. So every morning I give her a banana for breakfast but as a 1-year old, she can never eat a whole banana in one sitting, which always left me with the other half. So I searched online for healthy smoothie recipes made with bananas and Deliciously Sprinkled did not disappoint. Even I enjoyed this deliciously easy and quick smoothie. 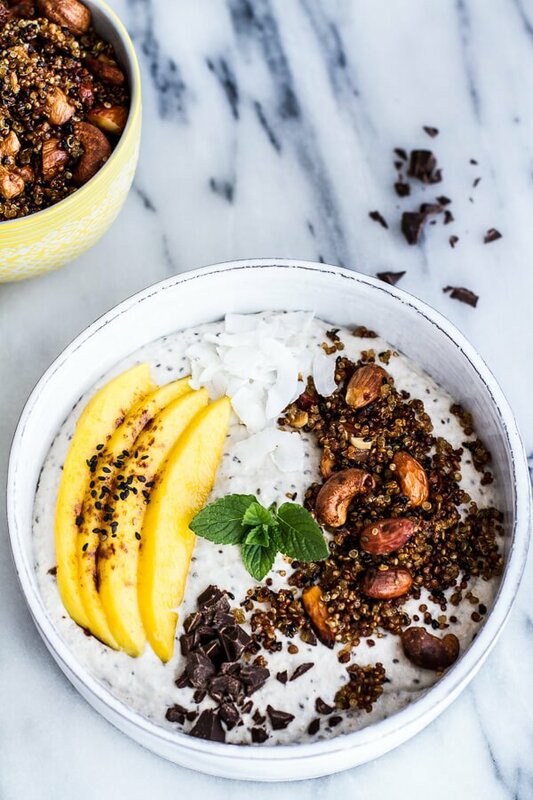 So this is actually a smoothy bowl but I had to add it our healthy smoothie recipes list. Why do you ask? Because I love coconut and it includes bananas which I hate. But as I previously mentioned I did search the internet like crazy to find easy smoothie recipes that included bananas so when I found this one, I had to give it a try. 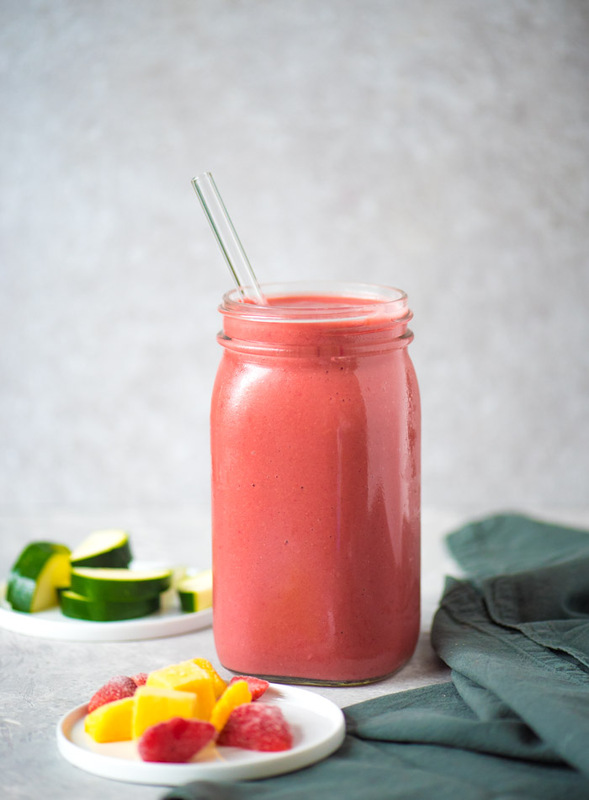 This tasty healthy smoothie was found on the Pretty Bee. This smoothie has a lot of amazing vitamins and antioxidants which is very good for you and your immune system. 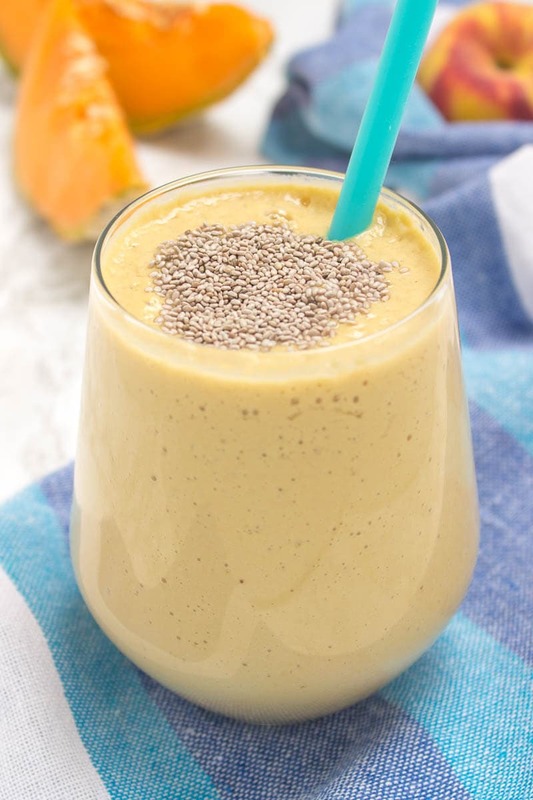 According to Pretty Bee, one kiwi has over 100% of the recommended daily value of vitamin C. Which is why we definitely needed to add it to our healthy smoothie recipes list. Debloating? Say what? Hands up if you get bloated at least once a month or even every two months? I do! 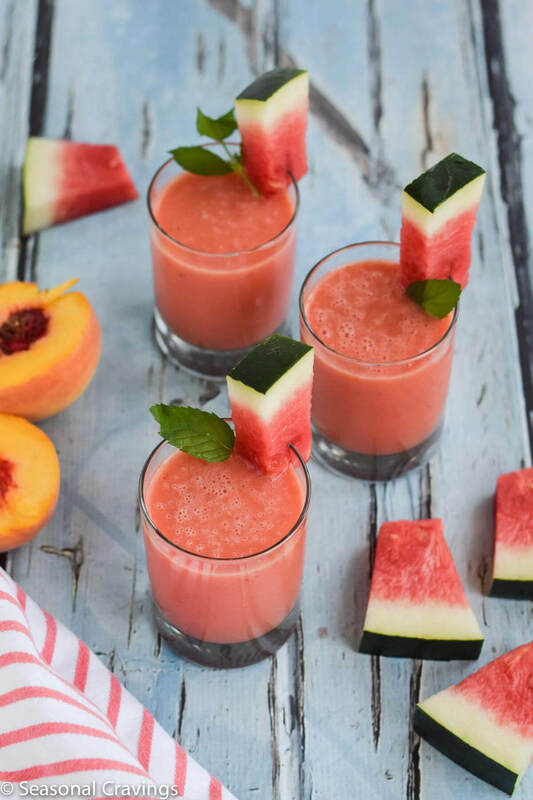 So when I came across this debloating smoothie one day, I knew I needed to give it a try and lucky for you, it made it on my top 11 healthy smoothie recipes to be tried this summer. Another bowl breakfast smoothie recipe. 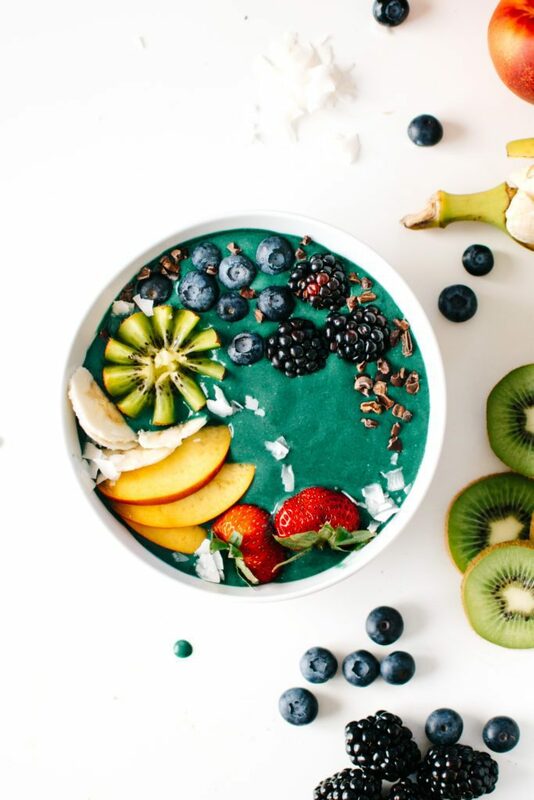 This rainbow green smoothie is so colorful and tasty which is perfect for breakfast. I made this last summer and I am attempting to make it again this summer to share with my daughter. Its really yummy and you must try it this summer. If you are dying to get all your daily veggies in on one sitting, then this veggie-filled smoothie is for you. As the title suggests, it has Pineapple, carrot, and oranges. If you are thinking of starting your own healthy smoothie recipes list, you must this one to it. Finally, here is a vegetable that I love! I love spinach and I was so excited to try out this amazing spinach and Apple breakfast smoothie. It’s definitely refreshing and extremely healthy for you. You can view the full recipe on Berry Sweet Life. Cantaloup and Peach anyone? These are definitely summer fruits and make for the perfect healthy smoothies. The smoothie is packed with essential minerals like magnesium, potassium, and iron making it super healthy. Wow, I love these watermelon peach smoothies. Like seriously. They are amazing and you must try them. If you have little kids, they will also really love them. This one is a must try for sure. They do add a few extra vegetables to the mix which makes it all the more healthy for you. If you are tempted to give it a try, grab the recipe here. 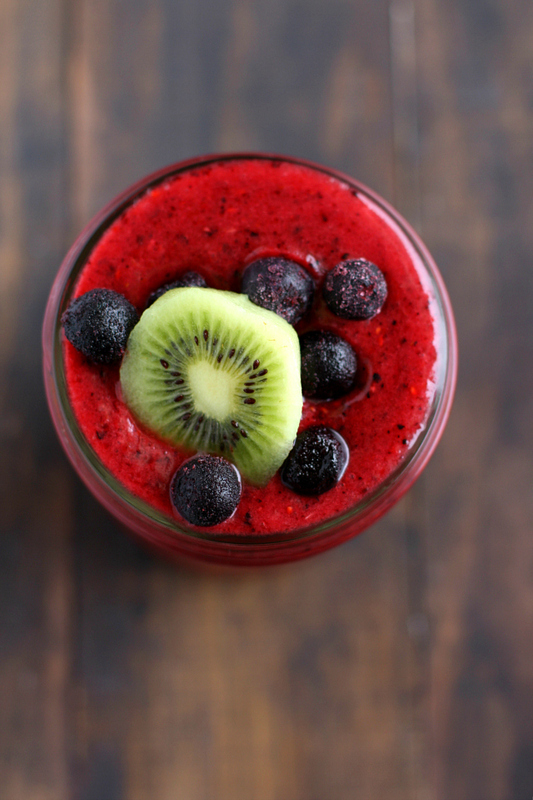 Did you enjoy our Healthy Smoothie Recipes for Weight Loss list? If you try any of the smoothies above, please let us know in the comments. And if you have any other suggestions, tell us below 🙂 We want to know. Don’t forget to pin this to your Food or Healthy Living board.